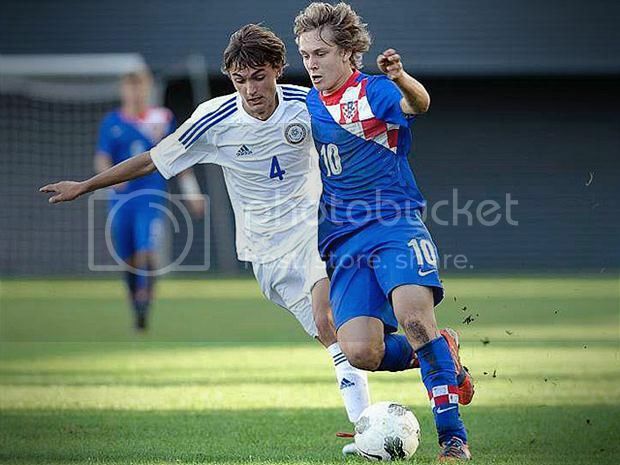 Alen Halilovic : The New Modric? Halilović started his career playing at youth level for Dinamo Zagreb. In June 2012, he signed a professional contract with Dinamo. On 27 September 2012, he made his debut for the first team in a 3–1 win over Hajduk Split, when he replaced Sammir for the final ten minutes of the match. This made him the youngest debutant in the history of Dinamo Zagreb, at the age of 16 years and 101 days (5945 days). 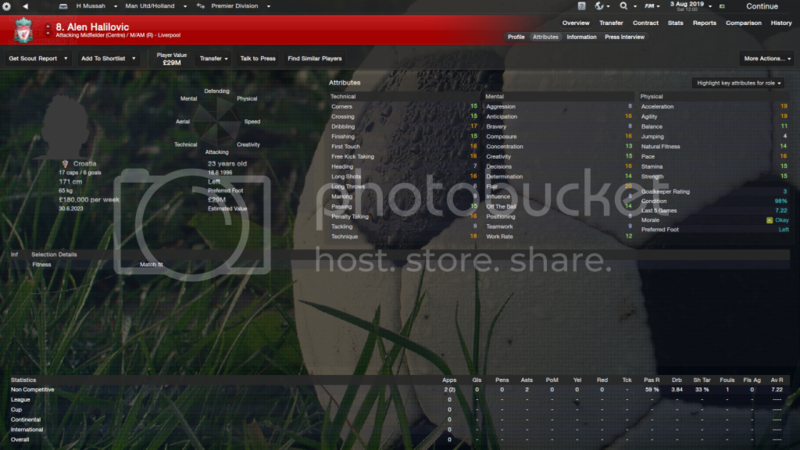 In the next round match against Slaven Belupo, he again came off the bench and scored the final goal in a 4–1 victory. This made him the youngest goalscorer in the history of the league, at the age of 16 years and 112 days, breaking the record set in November 2010 by his teammate Mateo Kovačić. On 24 October 2012, he became the club's youngest ever player to feature in a Champions League match after a 0-2 defeat against French giants Paris Saint-Germain. *With thanks to World Soccer for the initial tip off. 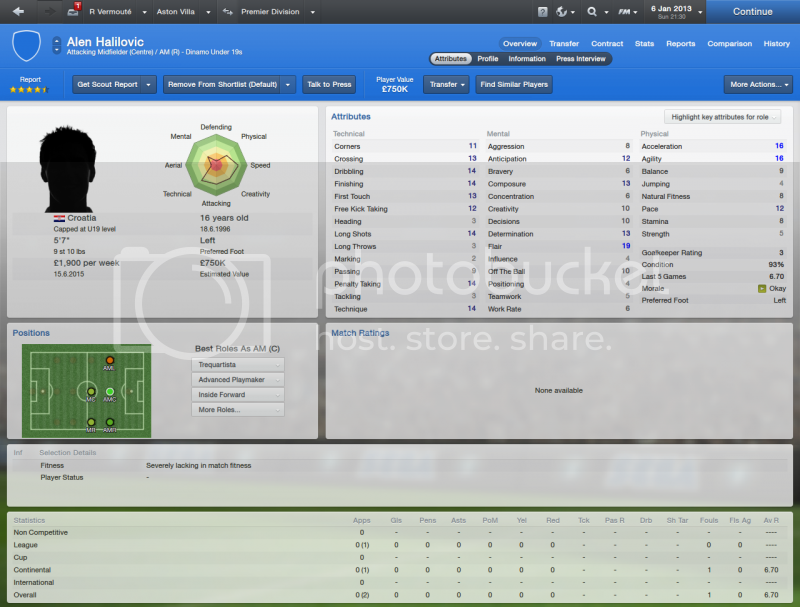 Very good player, though he has the extremely horrible "Shoots From Distance" PPM. Yes, I try to remove, but, I fail. He is ours wonderkind, and iz HNL (Croatian League), he plays MR, against Slaven Belupo scored his first goal in first match for senior team..
not a massive problem when his ability to shoot from distance is pretty decent, id be more worried by "cut inside"
Give me the next Boban any day. I don't think he'll come to England, due to his playing style. I think Italy is most likely, Spain second. I suppose Paris SG could always go in for him. 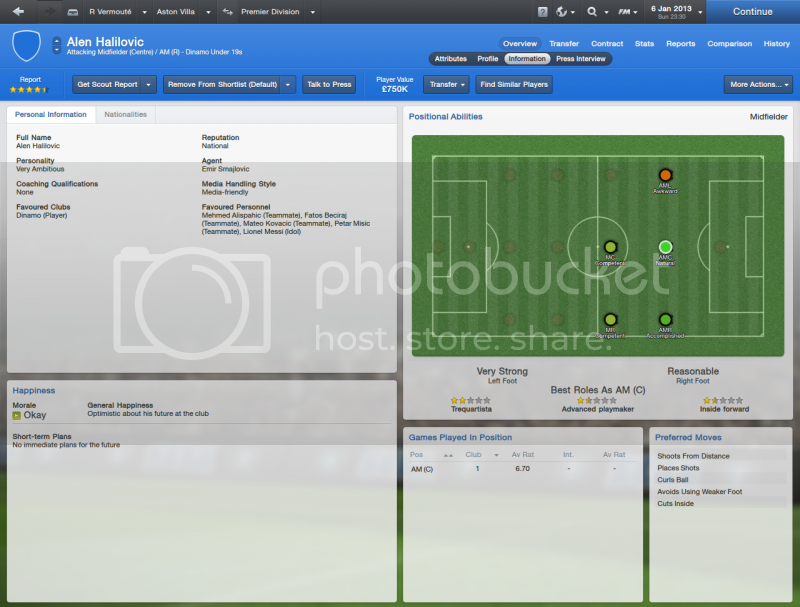 I signed him for Dortmund few seasons ago, plays well as AMR - Winger. Best AMR on the game I feel. Just effortlessly dribbles off the right flank and fires it in. If not he'll pick out a pass or cross to perfection. Oh and his free kicks are insane too. Completely disagree. The "Shoots From Distance" PPM is a horror. I avoid players with it as best I can. This is Alen a few years in on my save.